Long-time bicycling enthusiasts who are hitting the roads during the summertime are being met by a new wave of bicyclists who have adopted bicycling as a convenient form of transportation and an affordable alternative to record-high gasoline prices. As the number of bicyclists in Illinois has increased, so has the number of accidents in which bicyclists are injured. In an effort to address these increases, the Illinois General Assembly and the Chicago City Council have recently passed several laws in an effort to keep the streets safe for bicyclists. 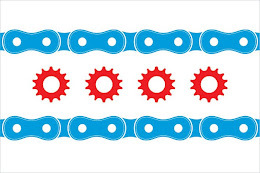 The 2008 Chicago Bicycle Ordinance amends the Chicago Municipal Code in several ways to make Chicago more safe for bicyclists. The 2008 Chicago Bicycle Ordinance requires motorist to give greater clearance to bicyclists when passing and turning in front of bicyclists. It also makes it illegal for a driver to open their door into the path of a bicyclist, an act known in the bicycling community as "dooring." Any violation of the ordinance would result in a fine of $150. Any violation of the ordinance that resulted in a collision between a motor vehicle and a bicycle would result in a fine of $500. The primary purpose of Illinois' Public Act 95-0231 is to amend the Illinois Rules of the Road to require drivers to keep a minimum of 3 feet between their motor vehicle and a bicycle when trying to pass the bicycle. Prior to the passage of this Act, drivers could legally pass bicyclists with less than 3 feet between them and the bicyclist. The Act also allows bicyclists to signal a right turn by not only extending their hand and arm upward, but also by extending their entire right arm horizontally to the right side of the bicycle. The intention of the legislature was to reduce confusion among drivers who may not be familiar with the hand signals used by bicyclists. The Act also clarifies that bicyclists should ride as close as practicable and safe to the curb, instead of just practicable, and may ride around right turn lanes on one-way streets instead of staying next to the curb and riding in the turning lane. Bicyclists are entitled to the same protections under the law as any other user of the roadways. If your rights as a bicyclists have been violated and have resulted in an injury from a bike accident, or you have any questions about this blog entry, please contact Mike Keating of Keating Law Offices at mkeating@keatinglegal.co or 312-208-7702. Since 2008, the Illinois Bicycle Lawyers at Keating Law Offices have helped the Chicago bicycle community by being an advocate for bicyclist's rights and representing bicyclists who were injured in a bicycle accident or crash in civil cases. The trial lawyers at Keating Law Offices have emerged as national leaders in the field of bicycle-related litigation. Attorney Michael Keating, founder of Keating Law Offices, has been recognized by SuperLawyers and Chicago magazines and the National Trial Lawyers Association as one of the leading young trial lawyers in all of Illinois.